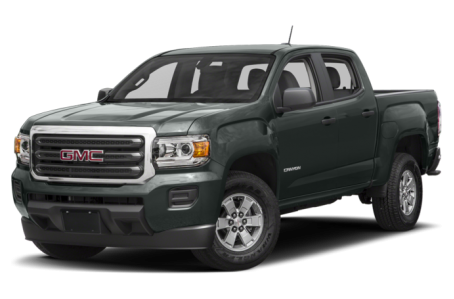 The 2018 GMC Canyon is a mid-size pickup truck that shares the same platform as the Chevrolet Colorado. It has two cab sizes: Crew and Extended. The Crew Cab has a long and short box, while the Extended comes with only the long box. Six trims are available: the Canyon SL, Canyon Base, SLE, SLT, All Terrain, and Denali.